Were you arrested by the Pasco Sheriff’s Office, New Port Richey PD or the City of Port Richey Police Department and charged with DUI? Are you seeking help from a qualified New Port Richey dui attorney? Look no further than the New Pot Richey dui lawyers of Finebloom, Haenel & Higgins. There are two separate punishments for a dui charge; the administrative and the criminal. For the administrative proceeding through the Florida Department of Highway Safety and Motor Vehicles, your license is automatically suspended 10 days from your arrest for a period of six months if you blew over a .08. If it is the second time you have blown over a .08 your license is automatically suspended for one year. If you refused to blow your license is suspended for one year, unless you have refused to blow before in which case the suspension lasts for 18 months. This suspension is put into place before you ever see a judge or plea guilty to a criminal charge and this suspended time does not count toward any court ordered suspensions you may receive in the criminal case!!! But when you challenge this suspension with a dui lawyer New Port Richey and Port Richey residents have a better chance of avoiding license suspension. Consider how difficult it would be to get to work or school without a license! Experienced dui attorneys in New Port Richey understand how important a license is to your daily life. They can assist you with trying to keep that license as the attorney is qualified to represent you in the administrative hearing. At Finebloom, Haenel & Higgins we have the experienced dui attorneys New Port Richey residents need to challenge this administrative suspension. For a first time dui conviction, you face six to nine months in the county jail depending on your breath alcohol level at the time of your arrest. It is mandatory that you receive 12 months of reporting probation. During that probation you will have to perform a minimum of 50 hours of community service, attend and complete DUI School and any recommended drug and alcohol treatment and impound your vehicle for 10 days. You will have to pay between $500 and $2000 in fines depending on your alcohol level and court costs. The judge may also sentence you to attend a victim impact panel. If you blew over a .15 you will have to place an ignition interlock on any car you drive at your own expense and your license will be suspended for at least six months!! For a second dui charge you face all of the same penalties listed above but doubled! The fines are between $1000 and $4000, the impound of your vehicle is increased to 30 days and you can face up to one year in jail!! If your last dui conviction was less than five years ago, you must spend at least 10 days in the county jail and your license will be suspended for five years!! You will also have to place an ignition interlock on your car for at least one year…maybe more. For a third dui charge you can be charged with a felony if your last arrest was less than 10 years ago. You can face up to five years in prison, but at a minimum you will have to spend 30 days in the county jail. The fines are at least $4000 and your car will be impounded for 90 days. You will have to place an ignition interlock on your car for at least 2 years and there is a possibility of a 10 year license suspension!!! Even if your last arrest was less than 10 years ago you still face the possibility of a year in jail. For a fourth dui you will be charged as a felon facing five years of prison. Your license will be revoked for life with no possibility of reinstatement or hardship. As you can see these penalties are severe! By hiring an experienced and aggressive dui attorney Port Richey and New Port Richey residents take the first step in defending themselves against these harsh sanctions! A New Port Richey dui arrest is humiliating, time consuming and expensive. But a qualified Port Richey dui attorney can help you navigate the court system and achieve the best result. 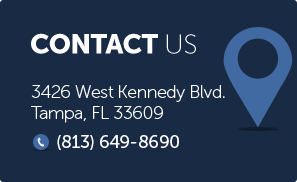 To speak with a team of helpful and knowledgeable dui attorneys in the Port Richey and New Port Richey areas call Finebloom, Haenel & Higgins at 813-200-4412. Our attorneys are available for consultation 24/7. Call today and let us help you fight your dui case!